This webcast panel discussion explores the potential of designers as entrepreneurs. In many ways, designing and entrepreneurship go hand in hand. A great designer excels at iterating and problem solving, qualities that are invaluable to developing a successful business. Now more than ever designers are nurturing their inner CEO, with design playing a central role from the outset. Join our expert panel as they discuss the unique parallels between design and starting a business, and share individual case studies highlighting the exquisite potential of designers as entrepreneurs. This edition of Future by Design features new interactive elements, as well as international panelists streamed virtually. Designers as Entrepreneurs is the eighth in RGD's ongoing Future by Design series of panel discussions. These panels are broadcast live via webcast to reach across all parts of the country. Contact programs@rgd.ca to find out how to participate. Moderator: Gary Ludwig RGD, Principal, Hark Ideas Inc.
Aaron Draplin, Co-Founder, Draplin Design Co. The last event was cancelled due to unforeseen circumstances, but Night of the Living TED is back. WE WANT YOUR BRAINS to join us for a night of TED talks! This webcast panel discussion explores how the process of creating visual identities is changing. Augmented reality, responsive design, considering brands in both time and space - these are just some of the new realities affecting visual identities. In the future we can expect stronger efforts to create more interactive experiences and ultimately more personal forms of expression. Join our expert panel as they discuss new trends and technologies in the development of visual identities and share individual case studies highlighting the new landscape of identity design. This edition of Future by Design features new interactive elements, as well as for the first time international panelists streamed virtually. Identity Design is the seventh in RGD's ongoing Future by Design series of panel discussions. These panels are broadcast live via webcast to reach across all parts of the country. Contact programs@rgdontario.com to find out how to participate. John will share his thoughts on 4 big ideas that are influencing brand identity in the age of the app. Ian will discuss the recent rebrand he did for Shaw Media. John Pylypczak, Co-Founder and Creative Director, Concrete Design Communications Inc.
John discusses Concrete's recent rebranding of MEC. Barry discusses designing for communities, both real and digital, with a case study on his new ifex identity. Michael explores the trend toward logos being designed in-house, with a case study on the recent changes to the School of Visual Arts (SVA). 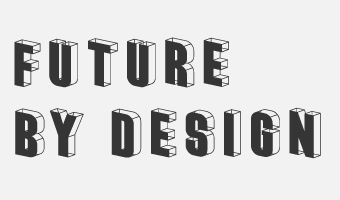 *** RGD will be hosting a live TweetChat during Future by Design, using the hashtag #rgdFBD. Whether you're watching the event in Toronto, at a satellite venue, via webcast or are unable to attend, we invite you to join our online Twitter discussion. This webcast panel discussion explores the relationship between information and design. RGD, in collaboration with the Gladstone Hotel and Resolve Collaboration presents Information and Design a panel discussion on the ways design is both enabled by and shapes information. We are living in a world where information is increasingly modular, consumable, connectable, and mixable. Amidst all of this dynamic communication, too often what we call ‘information’ is actually just noise. How then can design help transform noise, data and other information into a form where it better informs? Join our expert panel as they discuss the ways in which information and design are increasingly integrated and explore the exciting possibilities for information design in the future. In addition to the discussion, each panelist presents a brief case study with visuals that highlights this relationship and demonstrates how designers are responding. Information & Design is the sixth in RGD's ongoing Future by Design series of panel discussions. These panels are broadcast live via webcast to reach across all parts of the country. Contact programs@rgdontario.com to find out how to participate. Join us for a special screening of this discussion as it is broadcast LIVE. The Social Good Design Awards celebrates work from around the world that represents the power of effectively designed visual communications to make our world a better place. Alright, let's try this again and hope the weather cooperates. A presentation of brands and their evolution along with an open group discussion. RGD Ontario, in collaboration with the Gladstone Hotel, presents The Evolving Visual Landscape a panel discussion on the changing effect of visual communications to our public spaces. From google glasses to programmable t-shirts to the ubiquity of street art, what we see around us is becoming ever more commercial and customizable. But what do we see, in a world where we are bombarded by "outdoor advertising" and yet rarely look up from our smartphones to see it? This panel explores the changing nature of communication and advertising in our public spaces. Join us as we discuss what's on the cutting edge of our new visual landscape and how design is changing not just what's on paper or on the web, but how we interact with the world itself. In addition to the discussion, each panelist presents a brief case study with visuals that highlights these changes and demonstrates how designers are responding to them. *** RGD will be hosting a live TweetChat during Future by Design, using the hashtag #rgdFBD. Whether you're watching the event in Toronto, at a satellite venue, via webcast or are unable to attend, we invite you to join our online Twitter discussion. It's easy to take part! For full details, click here.